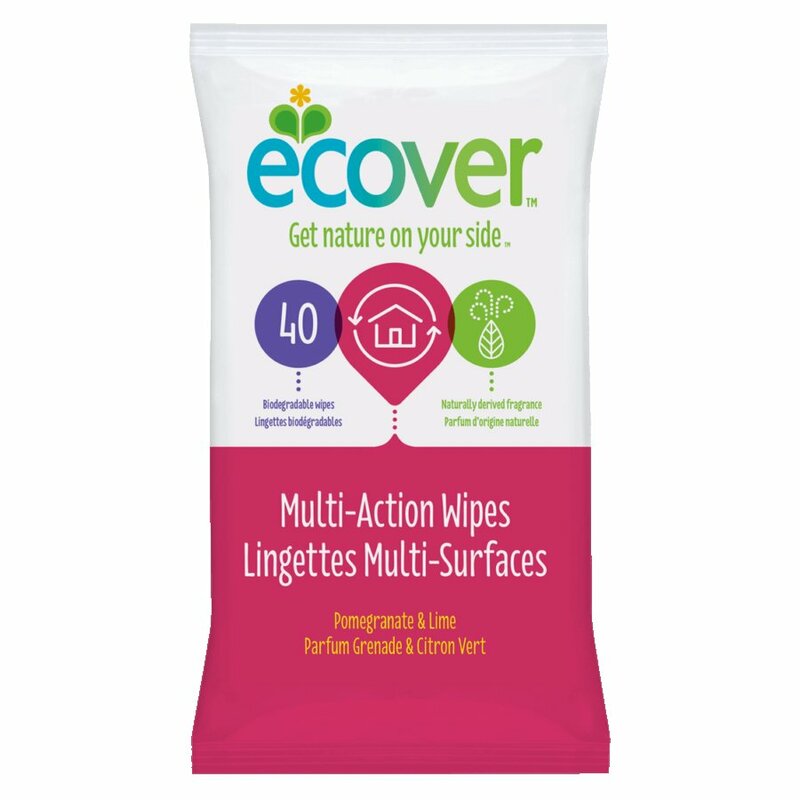 New convenient alternative to Ecover’s best-selling Multi-Action Spray, these new Multi-Action disposable wipes will keep your kitchen sparkling and germ free. With an ecological formulation, surfaces from your toilet seats to your baby’s high chair will be left perfectly clean with a Pomegranate and Lime fragrance. Simply wipe clean surfaces to remove dirt and grease, no need to rinse. Also available in a 80 Wipe jumbo pack. 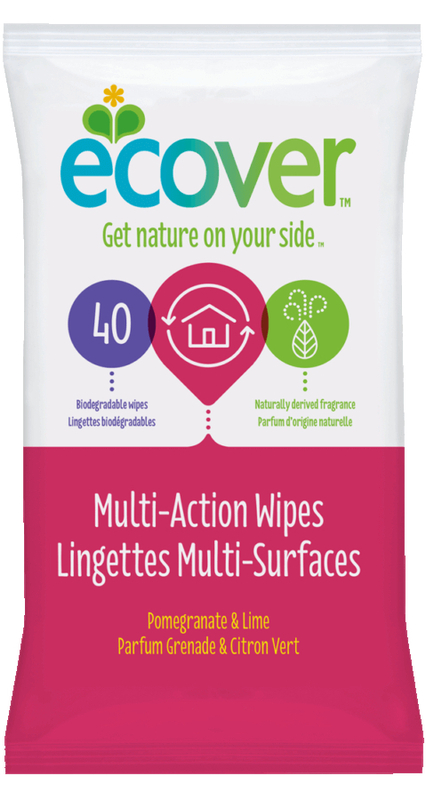 The Ecover Multi-Purpose Wipes - Pack of 40 product ethics are indicated below. To learn more about these product ethics and to see related products, follow the links below. These wipes are easy to use, and can be used on any surface that you want to be sure is free from any infection. I have recommended them to my nephew and his wife, who are using them to make sure their new home is truly as clean as they would want it to be. Great product. Really handy for my desk and PC. Lovely fragrance too. I love these wipes and have been using them for a number of years. Great at cleaning the kitchen and bathroom, and unlike some of the wipes you can get from the supermarkets, don't have harsh chemicals.